We often discuss the aesthetics of decking, and we also highlight the fact that the low-maintenance and durability of Trex is what attracts many people to composite options. But did you know that by installing a Trex deck, you are doing your part to save the planet too? Thanks to the BBC’s recent Blue Planet 2 series, plastic waste has become a hot topic, with a 2016 report stating that by 2050 there would be more plastics in the oceans than fish suddenly grabbing headlines the world over. More and more people are looking for ways to reduce the amount of plastic going to waste. However, reducing the amount that ends up in the seas is a huge task, with estimates suggesting that we have produced 8.3 billion metric tons of plastic since the 1950s – and 79 per cent of that ends up as litter or in landfills. The obvious solution is to recycle more and waste less: that’s where Trex comes in! 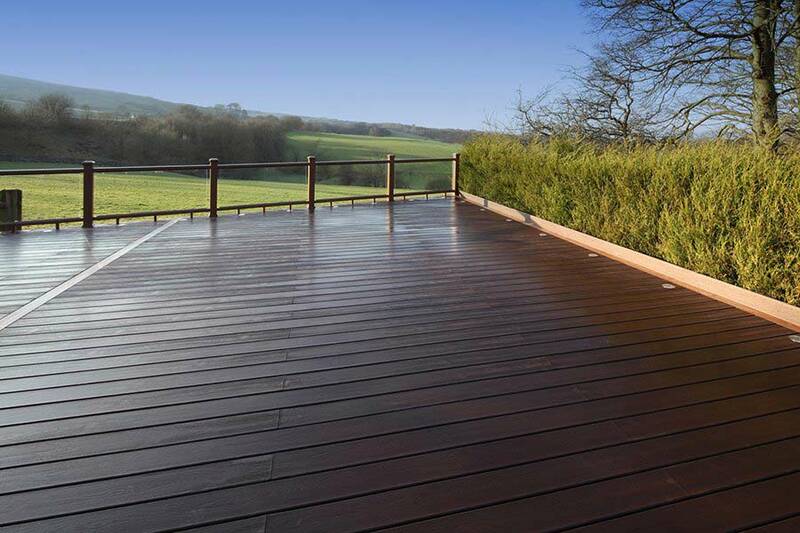 Trex composite decking is made from 95 per cent recycled timber and plastic. Trex has been manufacturing decking from these sustainable materials for over 20 years – long before it was fashionable. In fact, the company is one of the largest plastics recyclers in its native USA. The recycled plastics in Trex come from a variety of sources: the plastic wrapping on paper towels; dry cleaner bags; sandwich bags; newspaper sleeves; and shopping bags. In fact, did you know that a 500 square foot Trex deck contains 140,000 recycled plastic bags? That’s 140,000 bags that won’t end up in landfill or in the world’s oceans. What’s more, in the States Trex sponsors the Plastic Film Recycling Challenge, a nationwide schools and communities initiative aimed at educating children on the importance of recycling. Under the initiative, schools compete to collect the most plastic film which will be used to manufacture Trex decking boards, so the challenge does more than simply raise awareness. And not only does Trex prevent plastics from ending up contaminating the environment, it keeps by-products of the timber trade out of landfill too. 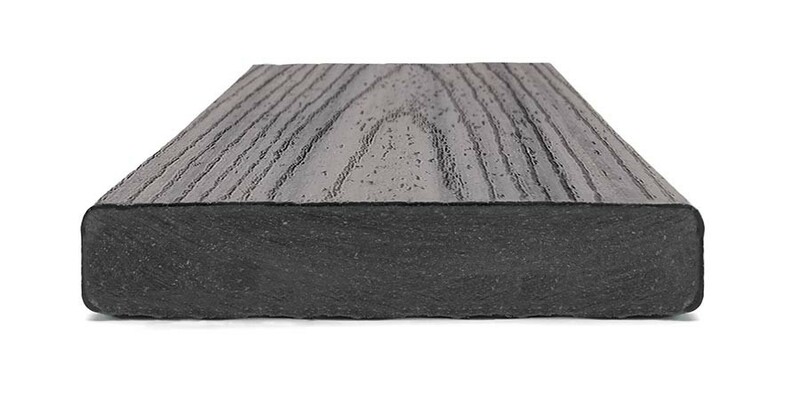 Trex uses reclaimed sawdust to produce the core of its decking boards – it’s part of what makes them breathable and durable. Making use of materials that would otherwise end up as waste means that Trex hasn’t felled a single tree in the manufacture of its decking products. In total, Trex saves over 300,000 tonnes of plastic and timber waste material from landfills each year. And the company is committed to keeping its manufacturing process eco-friendly too, eliminating the use of smoke stacks and recycling factory runoff and refuse into the manufacturing line. 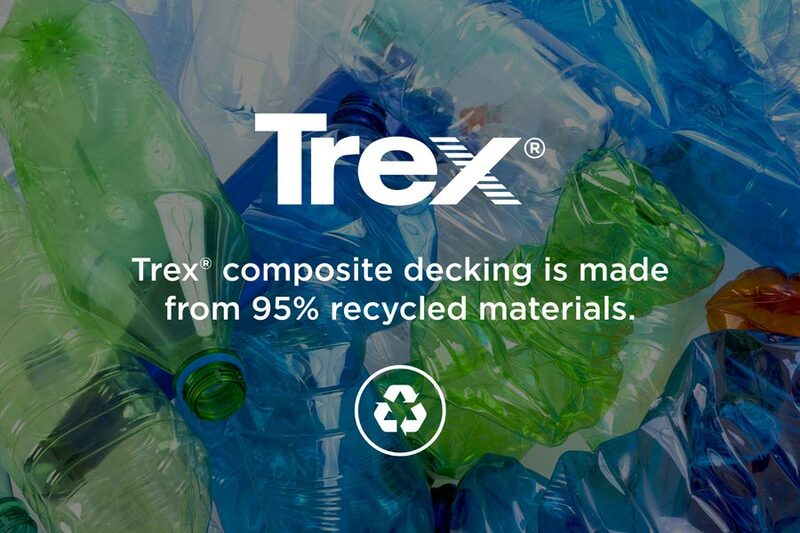 We’re proud that Trex is making every effort to reduce the waste in landfill, and while Trex decking’s green credentials are often overlooked in favour of its appearance and long-lasting appeal, we can all take a leaf out its book when it comes to cutting down on plastic waste. Bring your own carrier bags: estimates suggest that UK shoppers used nine billion fewer bags since the government introduced a 5p carrier bag charge in supermarkets. As well as saving 5p per shop, that means nine billion fewer bags in landfill or, worse, in the ocean – so it’s well worth investing in a canvas bag or two. Use refillable drinks containers. Disposable coffee cups aren’t recyclable, and worldwide we buy 20,000 plastic bottles per second. Bringing along a refillable water bottle and coffee cup is a small change that can make a big difference. Don’t buy plastic straws. They’re a children’s party and cocktail staple, but straws are a scourge when it comes to the environment. If you’re out and about, ask for your drinks without a straw, and at home you can buy some classy glass or stainless steel straws – perfect for when al fresco dining season rolls around.